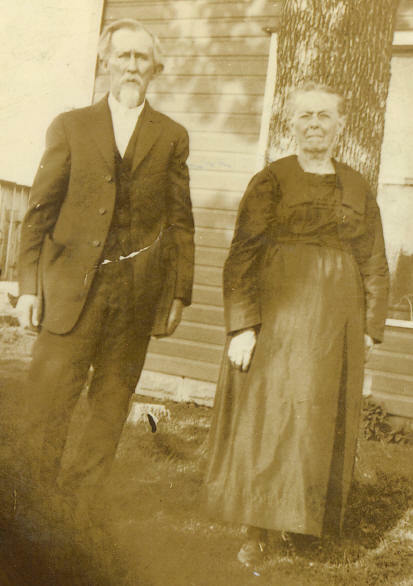 This picture was labeled "Uncle Tom and Aunt Nannie Holland" Nancy E. was Mary Brickey's sister. 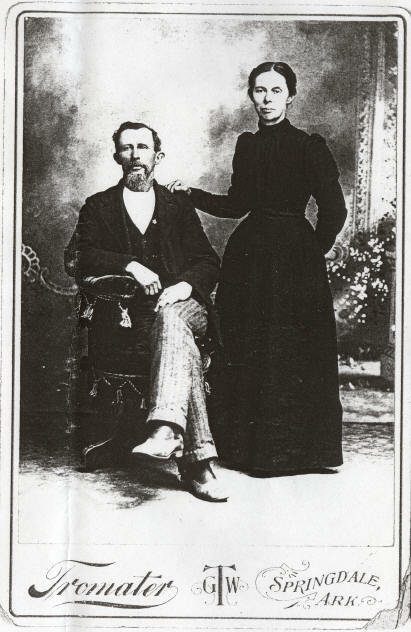 Nancy married Thomas Holland. This picture was at Leona Cunningham Hurst's house. This picture would have been taken before 1931 when Thomas died. This is a photocopy of a picture at the Benton Co. Historical Society. The picture belonged to John Resdan Brickey and was unidentified. I think it is of Nancy Brickey and Thomas Holland. The men in these 2 pictures look very much the same. Notice his left ear sticking out. From the dress style, I think this picture was taken about 1890's, when Nancy was about 38 and Thomas was about 45. They lived near Springdale, AR. The Tromater Studio was in Sprindale, AR about 1896-1905. If you are related to these families, please email me, Lea Ann Cunningham Kaplan.